Four teams took victories at the Hartford Track Club 8k Cross Country Challenge on a beautiful Saturday morning (Nov. 19) at the West Hartford Reservoir. 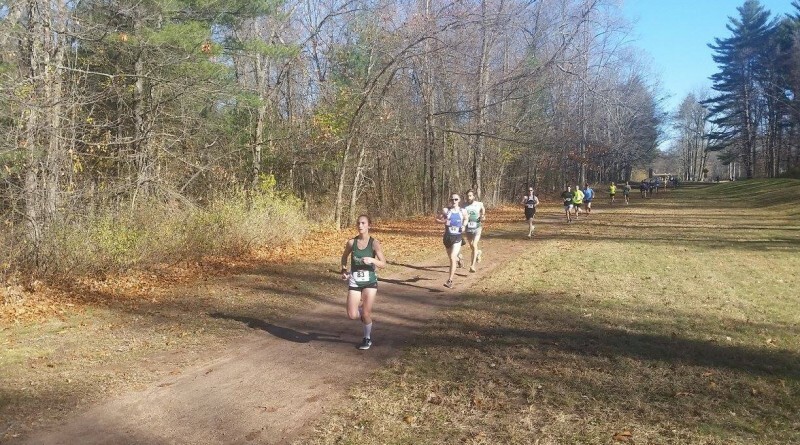 The race was third in the USATF-CT Cross Country Grand Prix Series and saw the highest team participation in the series thus far. The USATF-CT open women’s division continued to show strong competitive parity as the Milford Road Runners took the win over the challenging course. Milford Road Runners become the third different team in the open women’s division to win a race this season. Milford secured places 1-2-3-7 to outpace Brookfield Running Company by a score of 13-23. The Brookfield Running Company team earned the win in the women’s masters division; they hold a commanding lead in the overall standings and a 9-point advantage in the women’s open standings for the season. On the men’s side, SoundRunner won its third consecutive XC race this season and 7th in a row dating back to last year. SoundRunner took places 1-3-5-6 for a 15-27 advantage over Manchester Running Company, Brookfield was third with 56 points and host Hartford Track Club totaled 66 points. Hartford Track Club took the win by 1 point over Brookfield (10-11) in the masters men’s division. Nine points separates the top three men’s masters teams in the overall standings and SoundRunner holds an eight-point cushion over Brookfield in the open slate. The final race of the series is Saturday, November 26th at the Cow Chip XC 3.0 in Trumbull at 9:15 a.m.